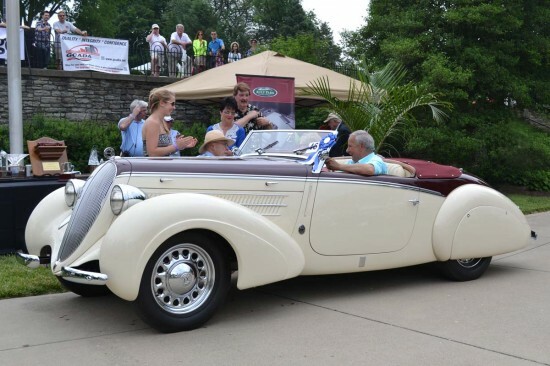 Two rare European cars received Best of Show honors at the 36th annual Ault Park Concours d’Elegance on June 9, 2013, in Cincinnati, Ohio. 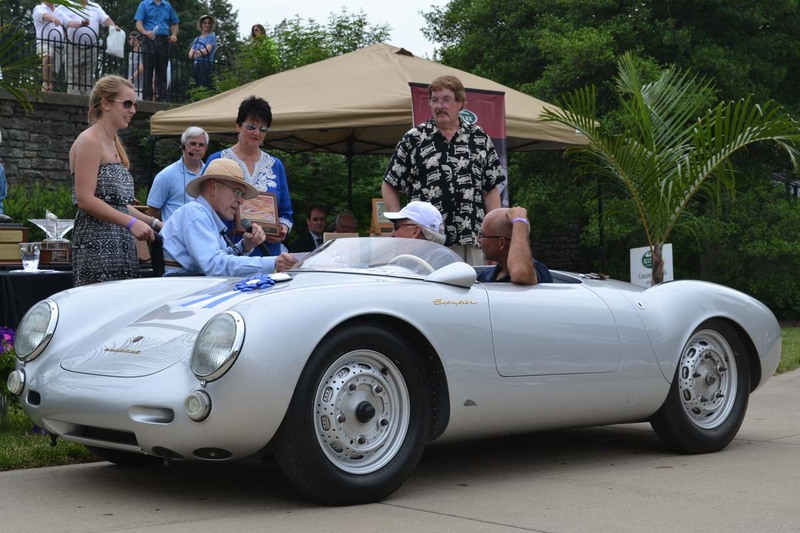 The two-tone 1938 Steyr 220 Glaser Roadster from Austria and the iconic 1955 Porsche 550 Spyder from Germany were introduced by Ed Lucas, noted concours judge and master of ceremonies. No one involved with the show has a broader or deeper knowledge of all vintages and makes of automobiles than Bill. 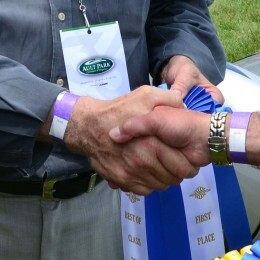 His advice and contributions to making this show what it is today have been invaluable and it is for this reason that since 2009 the Best of Show trophy has been named in his honor. Click here for all award winners. 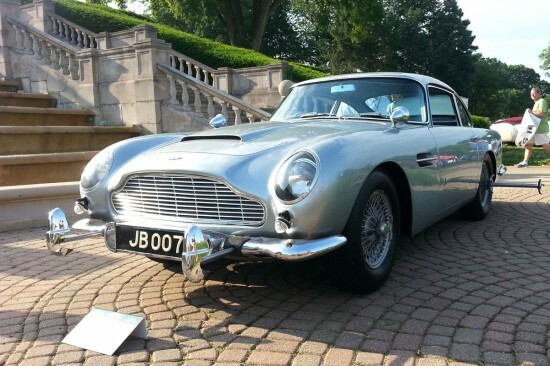 People’s Choice: 1964 Aston Martin DB4. 2013 Winners Gallery – Click image to enlarge for slideshow.